One of the most iconic venues in horseracing, Keeneland allows patrons to “enjoy racing as it was meant to be.” Guests can put on their race day best and enjoy the clubhouse or keep it casual and watch the races from the grandstand, boxes or paddock. The Hill at Keeneland also offers tailgating, wagering, and live coverage of the day’s races on the big screen. Sunrise Trackside is a free family-friendly event beginning at 7 a.m. each Saturday during the race meet and includes breakfast, children’s activities, walking tours, handicapping seminars, equine demonstrations and, of course, watching the racehorses exercise on the track. For more information go to keeneland.com. Celebrate those who are making a difference in farmland conservation in Central Kentucky. Since 1998, the Bluegrass Land Conservancy has protected more than 27,000 acres of local farmland from development in order to sustain the region’s identity, economy and way of life. The Farmland Conservation Celebration and Auction features local food, festive cocktails and a wide array of live and silent auction items up for bid. For more information or to purchase tickets, visit bluegrasslandconservancy.org. Sip and taste your way through a selection of wines and cheeses while supporting Central Kentucky Riding for Hope, which offers therapeutic riding and equine-assisted therapy programs for children and adults with physical, cognitive, emotional and social needs. CKRH volunteer and craft cheese maker Roger Shook will offer a selection of homemade cheeses, which will be paired with wines selected by the team at The Twisted Cork. For more information, visit the Central Kentucky Riding for Hope Facebook page. Known to fans as “The Best Weekend All Year,” the Land Rover Kentucky Three-Day Event has something for everyone. 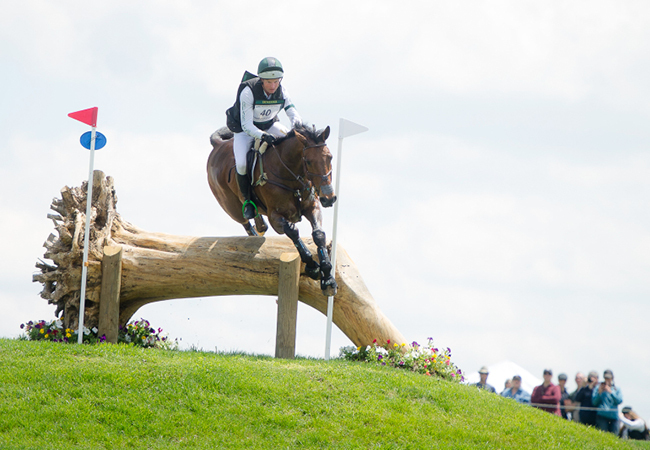 The top horse and rider combinations from around the world will converge on the grounds of the Kentucky Horse Park to compete in Olympic-caliber competition in the three phases of eventing: dressage (Thursday/Friday), cross country (Saturday) and stadium jumping (Sunday). Saturday afternoon, the some of the world’s best show jumpers will take their turn in the spotlight to compete in the $225,000 Kentucky CSI3* Invitational Grand Prix. In addition, guests can enjoy everything from live music and a wide variety of food offerings to bourbon tastings, shopping, tailgating (on Saturday) and more. To order tickets, call (859) 254-8123 or go to kentuckythreedayevent.com.